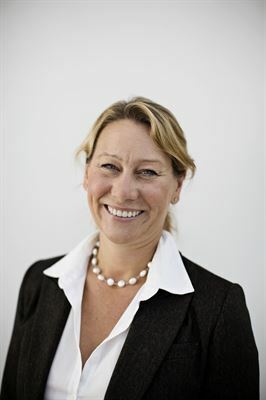 SSAB has appointed Christina Båge-Friborg as Head of Sustainability and a member of the company's Group Executive Committee. She has previously held a number of leading positions in the sustainability field, most recently as responsible for Sustainable Business at Sandvik AB. Christina Båge-Friborg has wide experience of working with sustainability issues. In recent years, she has supported large companies in their work of creating competitive advantage in both the short and long term through a heightened emphasis on sustainability. She joins SSAB from Sandvik AB, where she is currently head of Sustainable Business. Prior to this, Christina Båge-Friborg also worked for the Swedish International Development Cooperation Agency - Sida and the UN organization UNHCR on human rights issues. "Sustainability is an important part of SSAB's business model, in which we work to make a difference both for our customers and in our own activities. Christina Båge-Friborg’s background, will enable her to make a valuable contribution to SSAB's continued development," says Martin Lindqvist, SSAB President and CEO. Christina Båge-Friborg graduated with a degree in law from Uppsala University. She will take up her position as Head of Sustainability at SSAB by October 1, 2108. Until then, Maria Långberg, Executive Vice President and Head of People, Culture and Communication and Acting Head of Sustainability, will be responsible for sustainability issues.